How old were you when you had your first "moment" of wine and what was it? My first real “wine moment” was when I was 18, on the day I graduated. To celebrate this occasion, my father opened a bottle of Krug Champagne and a bottle of Château Margaux 1996: two great wines, one sparkling and one still. Of course, I had already drunk wine before, when I was a little younger, but this exact moment, with these two bottles, is a moment that I will never forget. How long have you been working in wine and can you tell us a little about your career? My first steps in the field of wine were in the year of 2007 when I did a gap year, working as a wine merchant in Bordeaux. The goal was to discover the world of wine, the different regions, ... the culture of this industry. After, I joined the oenology faculty from 2008 until 2010 which allowed me to do several internships. 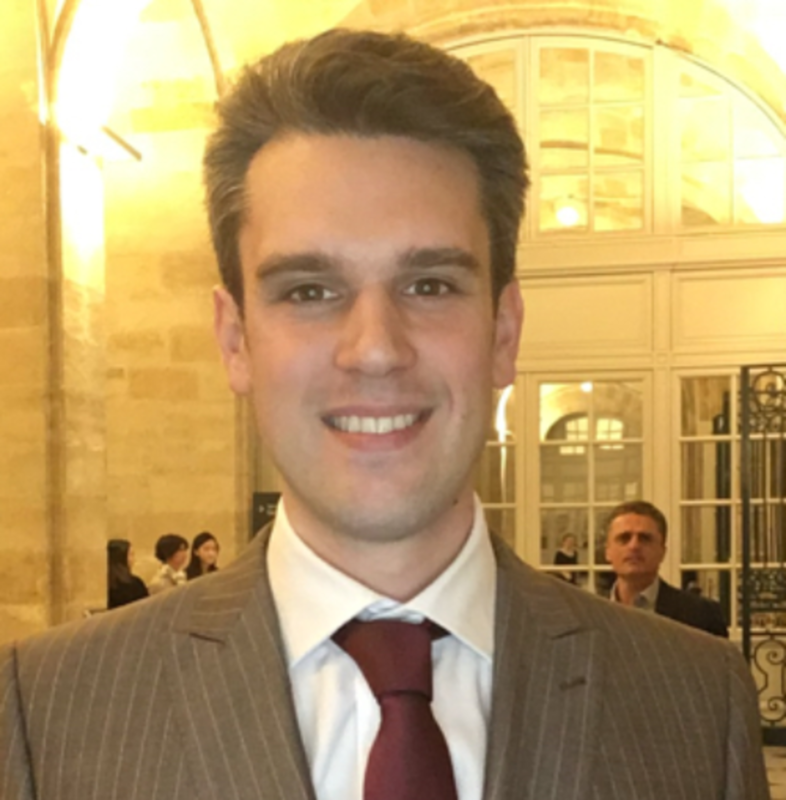 First to focus on the winemaking at Château Haut-Brion as an oenologist trainee and after I did an internship at the CVBG-Dourthe-Kressmann, who is a major negociant on the Place de Bordeaux. Once I graduated, I started working in Pomerol with Michel Rolland of Château Bon Pasteur. Then, a year later, I was offered to take charge of the commercial management and public relations at Château Couhins. Today it's been almost seven years since I started at Château Couhins and I'm developing the distribution, the brand, etc. Meanwhile, my father bought a vineyard in 2010 in the Côtes de Bourg and I got involved in this family property as well but more on the production side. Tell us about the history and traditions of Château Couhins. Château Couhins is a vineyard that dates from the early 15th century. Once a large and celebrated estate, it was owned by the Gasqueton and Hanappier families. In 1968, the entire property was put up for sale and it was L'INRA, the National Institute for Agronomic Research, who bought the lands of Château Couhins. Their initial goal was to build an experimental vineyard since the head office of INRA was located 5 minutes from the vineyard. This was the perfect opportunity for them to have a real size vineyard to conduct various experiments. In the years that followed, they focused on restructuring the vineyard that had been abandoned by the previous owners. After they proceeded to build a winery to take over the production of Château Couhins, inspired by the traditions and results of their wine research. Since 1980 they have been able to start their experiments. Initially on rootstocks, which they have developed among others the Fercal, a vine known for the quality of its rootstock, which today is widely used throughout Europe. After they developed the method of sexual confusion, which is a biological tool against vine diseases caused by grape worms so that we no longer need to use insecticides. It has had the same success; today more than 25 million winemakers use this method worldwide. Then in the early 2000s they turned to viticulture precession to develop sensors that identify and better monitor the different parcels in the vineyard. In the late 2000s, INRA completed all these experiments to focus on the production of a Grand Cru Classé and to demonstrate the latest innovations and research. So, we could say that today, Château Couhins is no longer an experimental vineyard but that it is a showcase where we apply the latest wine techniques and where we produce a Grand Cru Classé wine. We are lucky to produce 2 colors in Pessac-Léognan: white, red and we could possibly make a rosé but this is rather rare. First of all, at Château Couhins, we have a classified white wine. Besides, our particularity is that we are 100% Sauvignon. Unlike our neighbours where we also find Sémillon, generally in the area of the? ?Graves,and Muscadelle in the Loire. At Château Couhins we only have Sauvignon, planted on a clay-limestone hill, which is very unusual for the Graves region. This gives us a wine with a clean identity, which allows us to stand out from other wines and offer consumers diversity within Pessac-Léognan. To be specific, we seek the freshness of the clay and the minerality of the limestone with a touch of saltiness. Furthermore, we are looking for is the typical Sauvignon expression, which is a very aromatic grape, with aromas of citrus fruits. We rather work on the fruity aspect and less on the vegetal side that you often find in the Loire. We are really looking for this exotic fruit salad with aromas of citrus, some tropical fruit and orchard fruit notes. This is what we try to do, while still preserving a certain tension in the mouth. There is a tendency in Bordeaux, since we are in the South, to have very rich and complex wines with a slight lack of freshness. We consider that a white wine must have enough acidity and tension, since they should be able to age well. This is another peculiarity of Château Couhins, we have a wine that is able to age for 10 years without any problem, thanks to this aromatic freshness and the natural acidity that are linked to our terroir which has a north exposure and is quite cool. This allows us a slow maturation of Sauvignon and therefore ripe aromas, freshness and acidity. In short, our style is very fruity, fresh with tension in the mouth but we have especially a beautiful aromatic persistence. One could say that we are appreciated especially for our white wines. Then for the reds, here we are a little more like the other wines of the appellation. We are fortunate to have three very different soil types: gravel, chalky clay and gravelly sand, so we planted a grape variety per soil type. We have approximately about 50% Merlot, 40% Cabernet Sauvignon and 10% Cabernet Franc and Petit Verdot. The “Grand vin” of Château Couhins in red is about fifty-fifty Merlot - Cabernet. Besides that, it's the effect of the vintage that will define if there is a majority Merlot or Cabernet in the blend. In 2016 there was a little more Merlot and in 2017 there will be a little more Cabernet Sauvignon. But the idea in general is to have this balance between Merlot and Cabernet. The Merlot will provide a fruity character, roundness and suppleness and the Cabernet will add freshness, the aromatic complexity and structure in the mouth. This is what characterizes the Pessac-Léognans; they are rather fine and elegant wines because of this balance between the grape varieties. What is your biggest challenge as a winemaker? First of all, we have very heterogeneous soils. The big challenge here is to identify, understand and master all the small parcels where each of the vines will develop differently. At the time of the harvest it is necessary to know which parcel has to be harvested when to ensure perfect ripeness for each soil type. Then being able to vinify all these small batches separately, so that at the time we blend the lots, we really have the expression of the differences. This is our uniqueness in Bordeaux, especially on the left bank. We blend wines because the grapes are coming from many terroirs. So we have to find the right blend that is representative of the terroir. Then, personally, from the point of view of Château Couhins and the INRA, our challenge is to produce a high-quality wine with a low environmental impact. Preserving the environment is also our challenge. What are your ambitions for Château Couhins? You should know that the vineyard has not yet been planted in full so the idea is to continue the vineyard and plant it in the very short term. The rootstock and the grape must be adapted to the soil, so we have to find the perfect match. In addition to this, we want to set up an environment friendly vine management programme. This means that we want to limit intervention and maximize the biological approach while having a beautiful harvest in the end. Who are your favorite winemakers in history, through personal account? I had the chance to do my oenologist internship at Château Haut-Brion and Mission Haut-Brion and there, I have seen grapes that I won’t see elsewhere I think. There is a lot of humbleness in their structure so I am really fond of Château Haut-Brion and Mission Haut-Brion. Besides them, I also have a weakness for Pomerol. I had the chance to start my career in Pomerol so I know the region a little bit. I also like St. Julien. Other than Bordeaux, I really like the Rhône Valley, the Syrah in the Northern Rhône in red and even Châteauneuf-du-Pape and then, off course, there are also the white Burgundy wines. These are the wines that I appreciate. It's nice to have a little secret garden but it's always a bit embarrassing to name names because I like a lot of producers in each of these appellations. I just named Château Haut-Brion because I think they really are at the top in red, white and the image they represent. What is your favorite vintage from your wines? In white, I really liked the 2007 which was excellent. It still is, but today it's been ten years so we are moving to another aromatic palette. Today there is the white 2013 that I like and which looks quite like the 2007 on the aromatic level, balance in the mouth with great potential. More recently there is the 2015 which is also very lovely but which has another aromatic palette, which is a little more mature. Then on the reds, the 2005 is outstanding. Here we really have a density in the mouth that is quite rare. Then, of course, the 2009 tastes very well today. To continue, the 2010 is still a little young but has great potential. And finally, we have the 2016, which will certainly dethrone the 2005 and 2010. In my case, it was either architecture or oenology. I have always loved architecture. In the end, I find that it is quite close to the production of wines because there are different aspects with which I have to juggle to design a great final result. Click here for an overview of all the wines from Château Couhins.